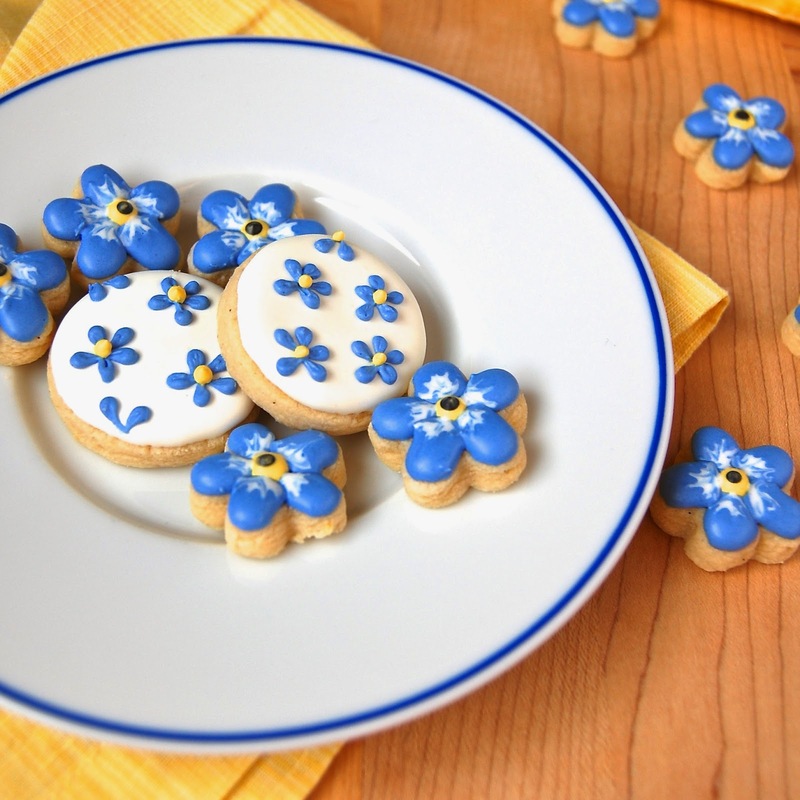 Did you know that the alpine Forget-Me-Not is Alaska's state flower? They are usually found in meadows here around midsummer. They are very small and have bright blue petals with a white inner ring and yellow center. I decided to send my mother and mother-in-law "love from Alaska" cookies. I placed them in quart-size mason jars to ship them. 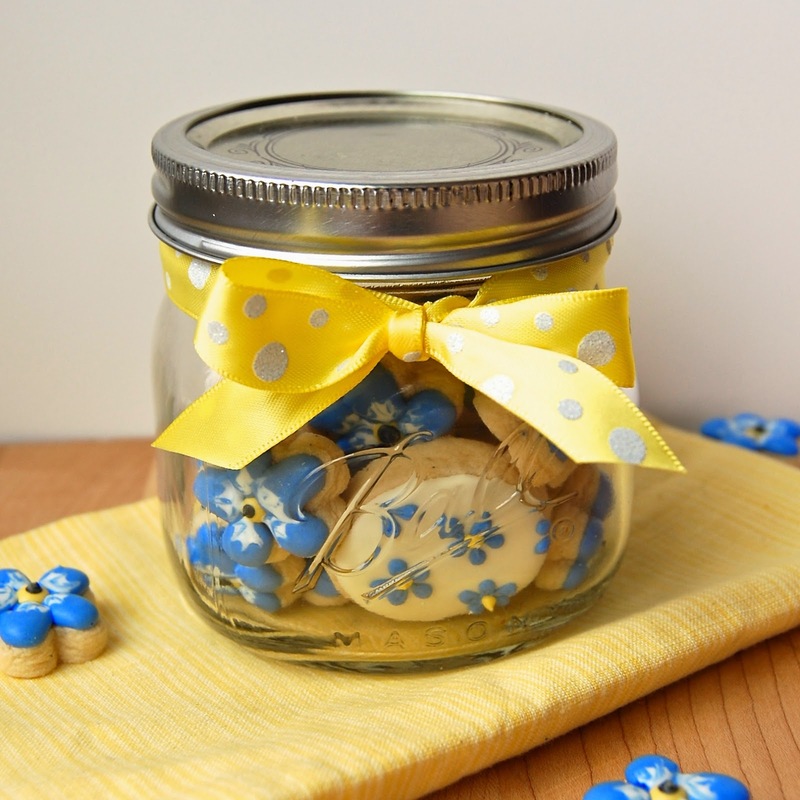 I used my favorite lemon-vanilla sugar cookie recipe and decorated them with royal icing. I also packaged some up in smaller jars for my kiddo's teachers. They all absolutely loved them! 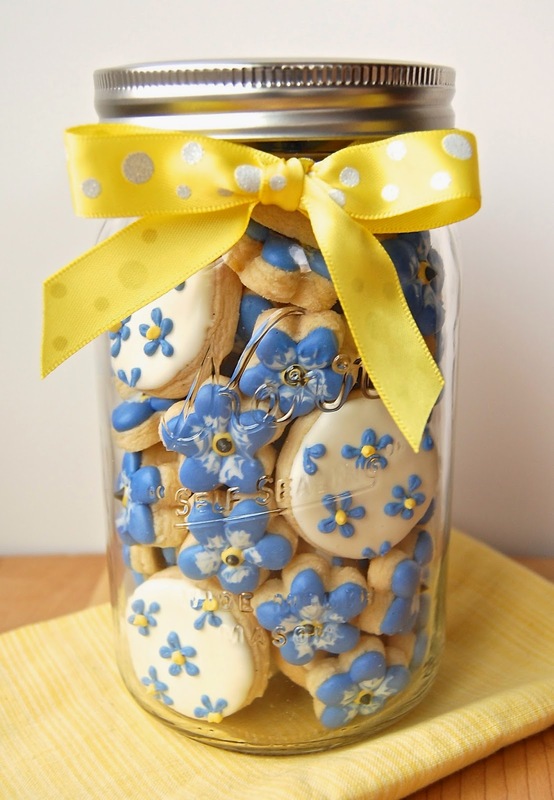 I used the medium circle cookie cutter from this set, and the small 5-petal flower cutter from this set. These are precious. What a sweet gift!